With due respect to Tom Freston, the Redstones finally made the obvious decision by moving to hand control of Viacom to CBS chief Leslie Moonves. It just took them a long, at times painful decade to get there. 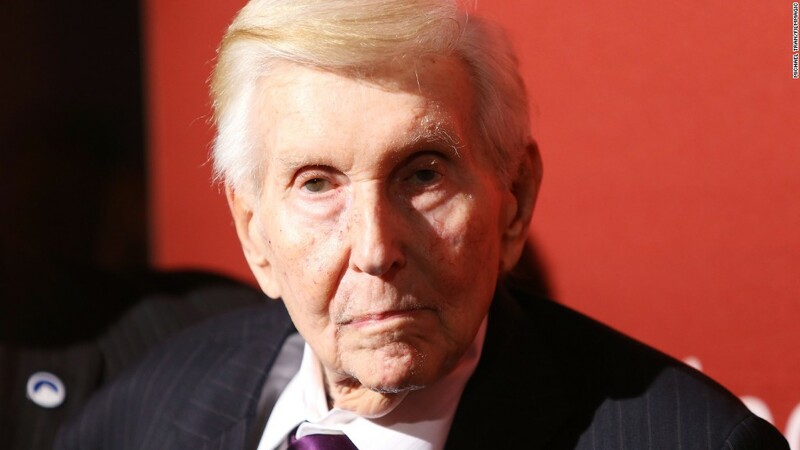 Synergy is an overused term in Hollywood, but Sumner Redstone clearly squandered a lot of it with his impulsive action to divide Viacom and CBS into separate entities. Now, the Redstones' National Amusements is seeking to undo that corporate divorce, asking the two boards to explore merger talks. Moonves wanted stewardship of the combined company back in 2006, while Freston -- then in charge of Viacom -- was initially ambivalent about it. When he came around to the idea, Redstone opted to break them up, ostensibly to help unlock the stock's value, but also to avoid losing one of his top executives. "I was in a very difficult position," Redstone told Vanity Fair in a 2007 profile. "I had to do something. So, to make everyone happy, I had to split the company." But Redstone impulsively fired the well-regarded Freston eight months later, in what amounted to a fit of pique. What has ensued not only produced inordinate turmoil at Viacom but plenty of duplicative and wasted efforts that could have easily been neutralized by promoting Moonves in the first place. Anyone who has watched Moonves' career recognizes that he is uniquely competitive, having thrived at Lorimar, then ascended after its acquisition by Warner Bros. Turning around CBS, which was languishing when he took over in the mid-1990s, followed, and the network has benefited from inordinate stability under his leadership. Redstone's sales pitch to investors was that CBS would be the steady tortoise to Viacom's cable hare -- as one magazine called it, "ViaSlow vs ViaGrow." But Moonves and his team found ways to boost revenue at CBS, exploiting international sales, retransmission payments from cable/satellite operators and digital opportunities. Viacom's management, meanwhile, has turned into an extended soap opera, ultimately leading to a protracted battle over the company and ouster of CEO and longtime Redstone lieutenant Philippe Dauman, engineered by the mogul's daughter, Shari. In both cases, the companies sought to putty in gaps left by the split, with at best mixed results. CBS, for example, took Showtime in the deal, prompting Viacom's Paramount to invest in its own pay outlet, Epix. Deprived of a movie studio, CBS established a film unit that has never entirely gotten its bearings. What seemed obvious, even then, was that CBS and Viacom could benefit from what each party brought to the table -- including what was initially billed as a cradle-to-grave lineup of networks, from Nickelodeon and MTV for kids and teens, respectively, to such channels as VH1, CBS, TV Land and Showtime for adults. The main issue now is that thanks to the damage done at Viacom, putting the two together will require a major cleanup operation before the reunited company can reap those dividends. In the long term, the Redstones appear to have taken a step toward winding up where the two companies naturally belonged. It's all the stumbles in between that have made the combination less of a no-brainer, and the challenge in wringing value out of Viacom more of a chore than it should have been.